Waterside Cottages is proud to partner with Brother Sun Builders! Award-winning Brother Sun Builders has been building custom homes in the Texas Hill Country and Highland Lakes area since 2004. Owners Larry & Sue Schwarz have worked together since 1993. At that time, Sue had just come on board as the accountant for Larry’s company, Western Glass & Panels. Two years later they were married and continued to work together at Western until it was sold in 2002. They moved to the Texas Hill Country in 2003. Realizing how much they enjoyed the process of building their own home, Larry and Sue decided to put their professional backgrounds and their love of the experience to use, and build custom homes for others. Larry brings over 30 years of construction experience to the business, having earned his Certified Graduate Builder (CGB) designation as well as Certified Green Professional (CGP) from the National Home Builders Association. He has served as the president of the Hill Country Builders Association or HCBA (formerly the Building Industry Association or BIA) for two terms, and currently is on the Executive Committee as the Director of Government Relations. Sue herself has logged more than 30 years in accounting and tax preparation with a specialty in Job Cost Accounting. She too is quite active with the local association. She has served on the Board of Directors as Chair of the Golf & Scholarships committee and is currently serving on the Board as Director of Networking. Together, the Schwarzes have established a business based on honesty and integrity. They want you to be confident that you have made the right decision in choosing their company to build your home, and to know that they go about the building of each home as if it were their own. 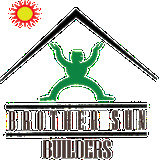 Visit them online to learn more about Brother Sun Builders. ©2013 Waterside Cottages | All information contained herein subject to change without notice.